"Building Applications with Spring 5 and Vue.js 2, with its practical approach, helps you become a full-stack web developer. As well as knowing how to write frontend and backend code, a developer has to tackle all problems encountered in the application development life cycle – starting from the simple idea of an application, to the UI and technical designs, and all the way to implementation, testing, production deployment, and monitoring. 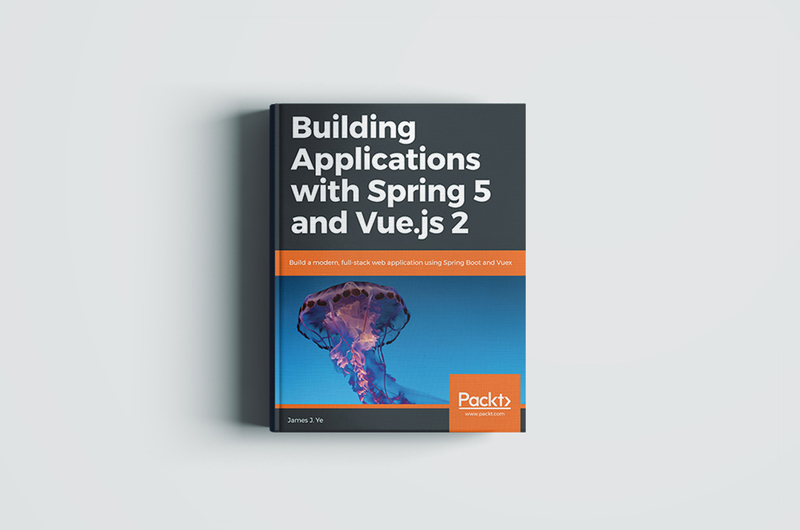 With the help of this book, you'll get to grips with Spring 5 and Vue.js 2 as you learn how to develop a web application. From the initial structuring to full deployment, you'll be guided at every step of developing a web application from scratch with Vue.js 2 and Spring 5. You'll learn how to create different components of your application as you progress through each chapter, followed by exploring different tools in these frameworks to expedite your development cycle."